Boys Christmas Sweaters are as popular today as they were ten years ago, probably for the same reason; Christmas cards. Most families take a portrait around Christmastime to put on Christmas cards that are sent out to the whole family. Of course, there are more uses for boys Christmas sweaters than just portraits and cards. They are perfect for chilly winter weather, as well as adding a festive touch to the holiday season. With many different styles, patterns, and colors, Christmas sweaters are perfect for kids and adults of all ages. A Christmas sweater also makes a nice gift for just about anyone. There are many other kinds of Christmas sweaters. Depending on what part of the country you live in you may even be able to find a "Cowboy Santa Claus" sweater, or some other type of unique Christmas sweater. If you are making the sweater yourself, then you could create your own design, featuring the boy's favorite colors, animals, or phrases. If your child or grandchild doesn't like the scratchy, itchy feel of a traditional sweater, then there are a couple of other options that allow him to stay festive, and comfortable. You could get a sweatshirt and iron a festive design onto it, or get fabric paint markers and draw a pattern onto it. A hooded sweat shirt, or jacket is also a nice alternative to a Christmas sweater. If your boy doesn't like long sleeves, then you could always make a "Christmas T-Shirt" with the same iron on technique, or use fabric paint markers as mentioned above. There are also many different types of Christmas pajamas available for boys of all ages. Target: This site has a number of holiday sweaters for boys, including "ugly" Christmas sweaters. 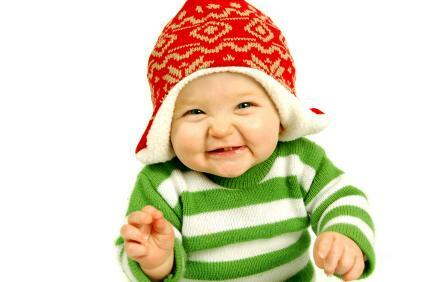 Macy's: This store has Christmas sweaters for in sizes for babies, young boys and older boys. No matter what type of Christmas sweater you wind up choosing, it is sure to be a treasured gift for many years to come. A family Christmas card isn't complete without a matching sweater set after all!